Ever felt like society holds your insecurities over you? Like you can't ever be free? Well, we're going to change that. Join us on November 6th. Find a t-shirt, write your biggest insecurity on it, and wear it all day on November 6th. Tag us on Facebook or use the hashtag #rebelinsecurely to show the world that you don't care what society thinks! Interested in hosting a Rebel party? We're asking you to have an event before Rebel. 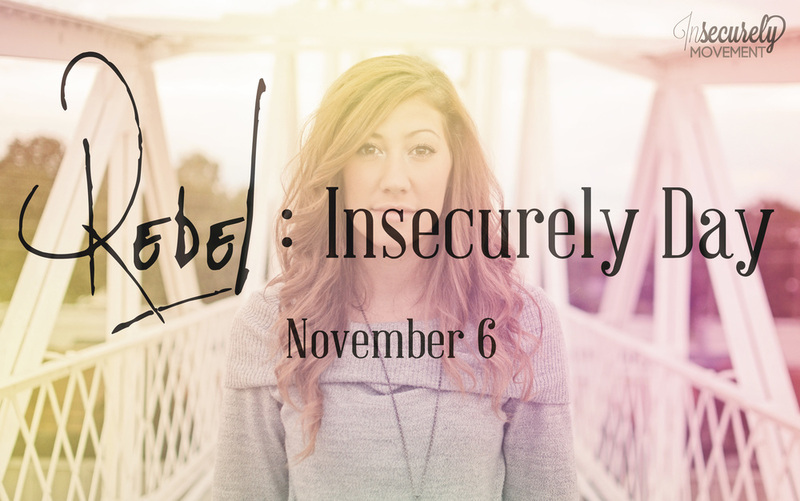 Get together, eat some great snacks, decorate your shirts, and have some wonderful conversation about what admitting your insecurities can do. Let us know about your party with the official hashtag! Download the flyer below to hang around your school, church, and community.